Since I opened registration for my ‘How to Create a Magical Life’ course last week, I’ve had several people wondering about the specific practices and techniques we’ll be working with in the course. So, I did some thinking and planning this morning, and I’m super-excited to be writing today to invite you to another free live webinar I’ll be offering this week – on Wednesday, Thursday and Saturday – in which I’ll be explaining my 3-step process to creating a magical life, and giving you a little taste of some of the techniques I’ll be teaching in the course. 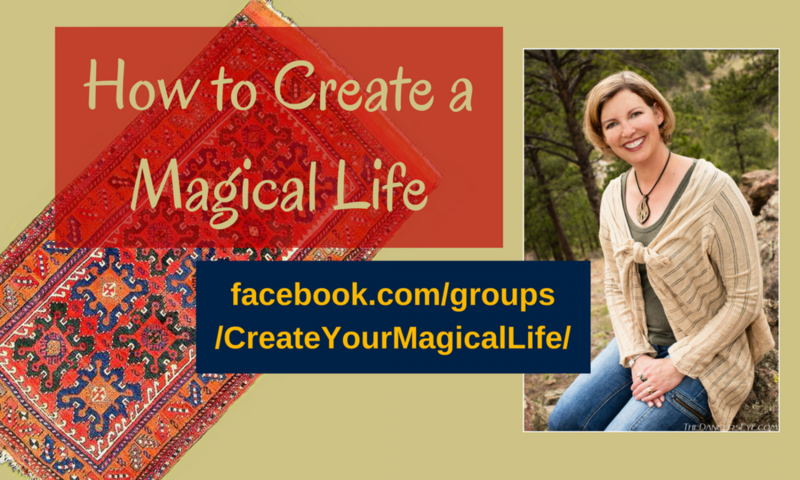 In this new webinar, called ‘Creating Magical Lives,’ I’ll walk you through each of the three steps to creating YOUR magical life. I’ll explain which techniques have helped me the most at various points in my journey, and why. And I’ll give you a little sample of those techniques so you can experience the process for yourself. If you’ve been intrigued to dive deeper into creating your own reality or figuring out why manifesting seems to work sometimes but not other times, or learning how to access a receiving state, I encourage you to join me for one of the 3 time slots, for what promises to be an info- and experience-packed hour. Click HERE to register for any of the time slots for the live webinars. I hope you’ll be able to join me live this week as we continue our journey into this amazing thing of creating magical lives!